The role of marine engineers will need to shift from seafarers to shore-based workers with new skills and expertise. But will maritime education and training providers be prepared to provide the required training? Gamini Lokuketagoda leads AMC’s simulated engine room training. With recent developments pushing the boundaries of ship automation (modern day shipboard machinery can run more than 16 hours a day without human intervention), he believes remotely operated coastal vessels will be in operation in the next few years, closely followed by unmanned oceangoing vessels. In a research paper presented at the International Association of Maritime Universities 2018 Annual General Assembly, Mr Lokuketagoda points to the Yara Birkeland, the world’s first fully electric, autonomous container ship with zero emissions as evidence of the move towards remote shipping. The ship is scheduled to be delivered in 2019, initially running with a skeleton crew and becoming fully autonomous by 2020. Dutch company Port Liner recently started building Europe’s first fully electric emission-free barges. The five barges will carry 24 containers each, and will eventually become autonomous, he said. 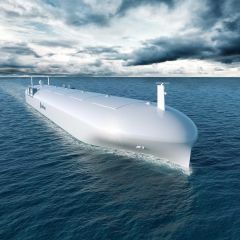 In a world with autonomous shipping, the future role of the marine engineer will essentially be confined to a shore-based operating station, making decisions based on the telemetry from the machinery managed remotely, similar to technology used in defence and the aviation industry. The concept of remote operation of ships machinery from shore will pave the way for a new breed of marine engineers/remote operators,” Mr Lokuketagoda said. Traditionally, the hands-on training philosophy for engineers has been a mix of shore and ship-based training, with certification of competency based on appropriate duration of sea service with certain propulsion machinery, followed by further sea service and associated education, training and assessment. Mr Lokuketagoda said future marine engineers would not be sailing but may gain the required experience through virtual sea-time and simulator-based training approaches, which will be increasingly valuable into the future. “A dynamic, real-time computerised simulator can compress years of experience into a few weeks and provide knowledge of the dynamic and interactive processes typically encountered within shipboard engine rooms,” Mr Lokuketagoda said. The collaborative research study between Japan's Kobe University and AMC reiterated the need to connect the theoretical and practical in marine engineer training, with proper design of simulator exercises providing clear demonstrations of relevant theoretical concepts, such as thermodynamics, heat transmission and electro-technology. Mr Lokuketagoda flagged that if autonomous ships were to achieve economic benefits by reducing crew costs, then remote machinery operators must be capable of handling operational and emergency situations by making informed and timely engineering decisions. “This critical factor depends on the knowledge and skills received through appropriate training and assessment programmes,” he said.